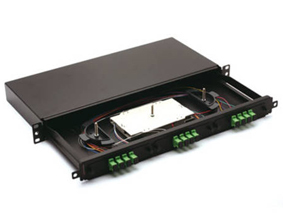 Premium-Line Wall Mount Fiber Optic Box is used for the direct termination of fibers. The rear section accommodates cable entry and protects against taking out the cables. 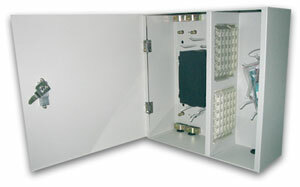 Box includes two separate sections for fusion splice trays and for routing optical connecting modules to the equipment. 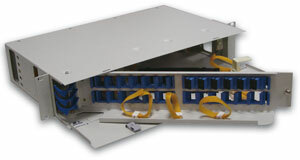 The Premium-Line four-rack space fiber optic enclosure contains all of the features of the two-rack space model, but with additional capacity to manage fiber counts up to 144. 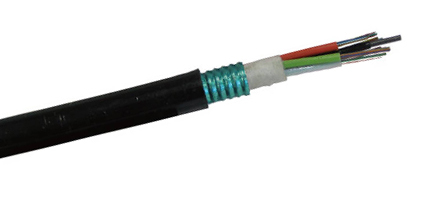 Cable entry/exit feature utilizes a flexible grommet seal, which is cut at time of installation to accommodate the desired cable diameters for entry and exit points. These grommets provide a dust & debris barrier during and after installation.